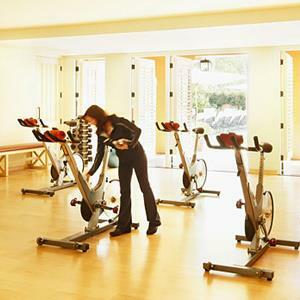 The ease and convenience of an on-site fitness center means you have fewer excuses not to stay in shape. Particularly if you live in a harsh climate, this perk means you’ll get in your workout even when it’s brutally hot or insanely cold out. Of course, this only applies if the equipment in the gym is in good condition, and if it’s not so crowded you can’t get on a treadmill. Stop by and see the place for yourself before deciding. A doorman isn’t just a matter of feeling important or having someone to greet you each morning or evening. It’s also a valuable security feature. If you were a criminal, would you choose to cause trouble where someone was on watch or opt for the easier target down the street? Doormen aren’t security guards, but they pose enough of an obstacle to deter many crimes. When you can cut 10 or 15 minutes off every single commute you make for the next year, this is real savings. It’s always worth the extra price to get an apartment close to work, school, or the places you frequent. Also look for an apartment convenient to your favorite shopping centers and restaurants. If you have home access to Wi-Fi, you can lower your cellphone data plan and save money every month. Plus, you’ll have Wi-Fi for as many devices as you own, and you don’t have to worry about charges for sharing your data plan or overage charges. In the long run, it’s cheaper to add this to your rent than to pay for each of these services all year. Search “apartment storage ideas” and you’ll find pages of great ideas to make your apartment seem larger than it really is. If you aren’t the DIY type, then you might consider renting an extra storage closet on-site, typically in the parking garage. Besides quick access to your bike and seasonal decorations, an on-site storage closet may save you from looking for another bedroom, which can cost more than $500 extra in rent per month. Pet day care, dog walking, grooming, and other pet services can be expensive if you have to hire someone to do it. But including this with your rent is often cheaper and more convenient. Definitely check out the workers yourself before agreeing to this arrangement. If it’s well-managed, it’s a valuable perk to have. Any amenity you’ll use is a good value for you. The key is to avoid paying for amenities that aren’t going to directly save you money or give you added convenience. If your landlord is offering tons of perks but the rent is substantially higher than the average in your area, see if you can get a cheaper apartment without all the unnecessary frills. Save the extra payments for amenities that are truly worth the cost.